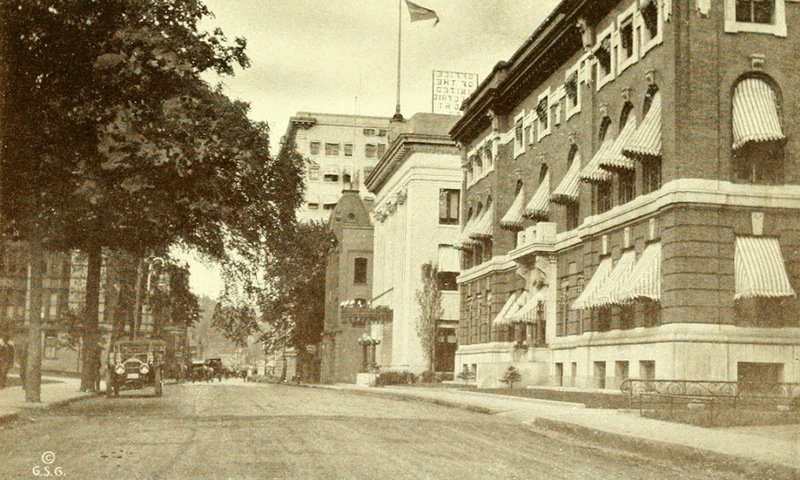 State Street in Springfield, around 1910-1913. Photo from Progressive Springfield, Massachusetts (1913). It will be interesting to do another “now” photo in a couple years, because this scene will be changing soon. Taken looking east on State Street from in front of the Hampden County Hall of Justice, this scene shows several buildings that will be demolished or substantially altered when the casino is built. 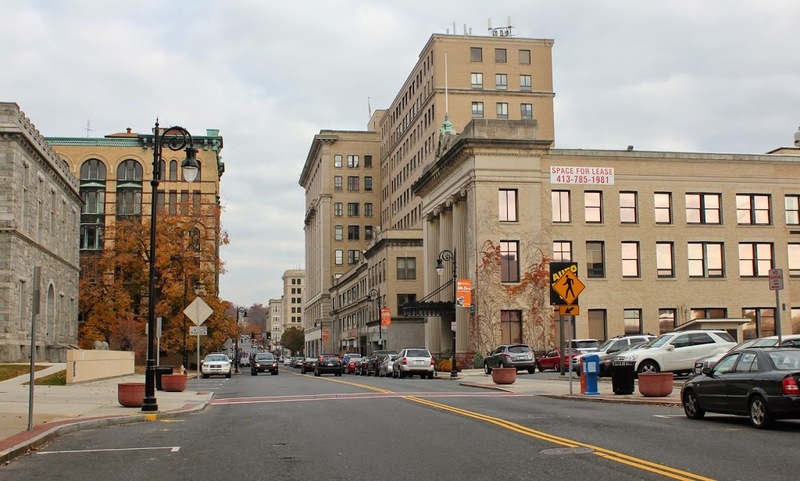 The building on the right-hand side of the 2014 photo is the United Electric Company building, which had just been built shortly before the first photo was taken, and will be (mostly) demolished in the near future, with the casino retaining only the facade. A few other buildings along State Street will also either be demolished or have just he facade saved. 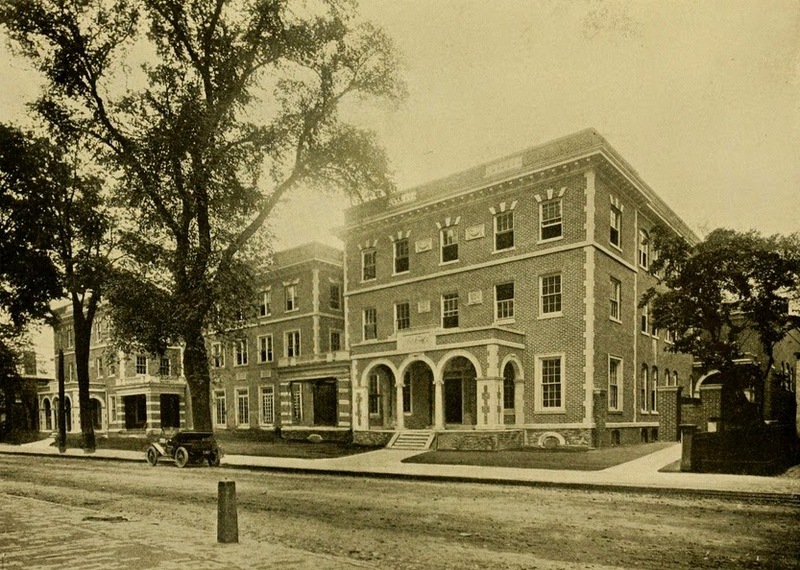 Other buildings in the photos include the Court Square Hotel, which extends across the block from Elm Street to State Street, and the Nayasset Club building, on the far right of the first photo. 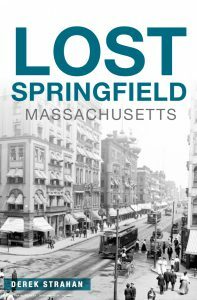 The Nayasset Club was a social organization that at the time included many of Springfield’s prominent citizens. 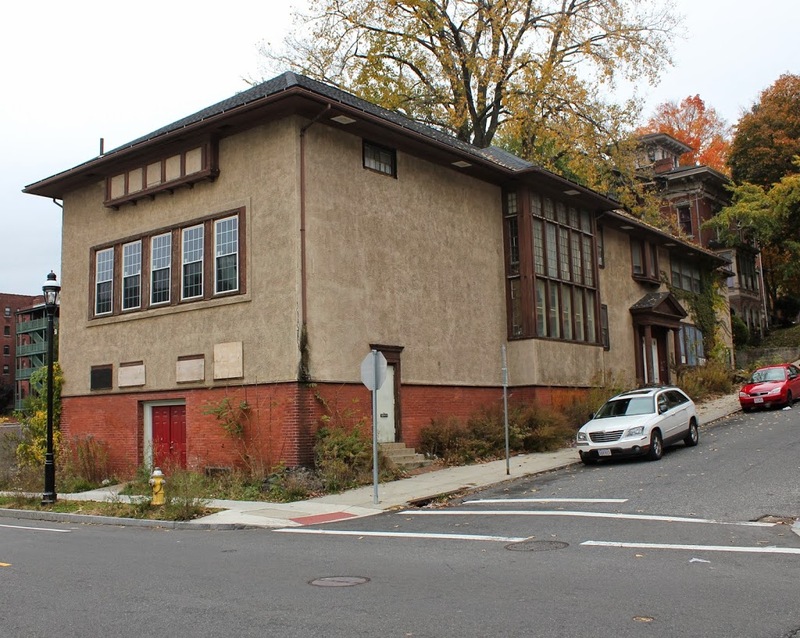 The building is now gone, and in its place is a parking lot across from the old Hampden County Courthouse, which is barely visible on the left-hand side of the 2014 photo. 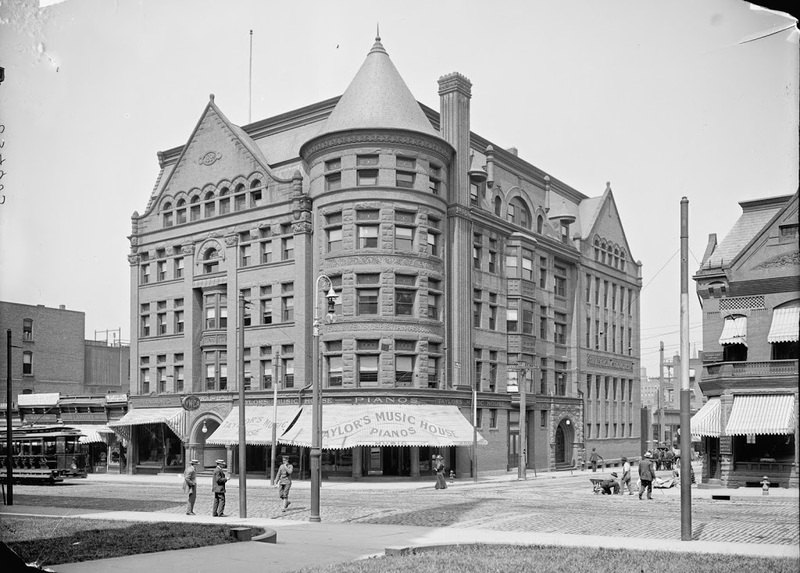 The YWCA building on Howard Street in Springfield, around 1910. Photo from View Book of Springfield (1910). 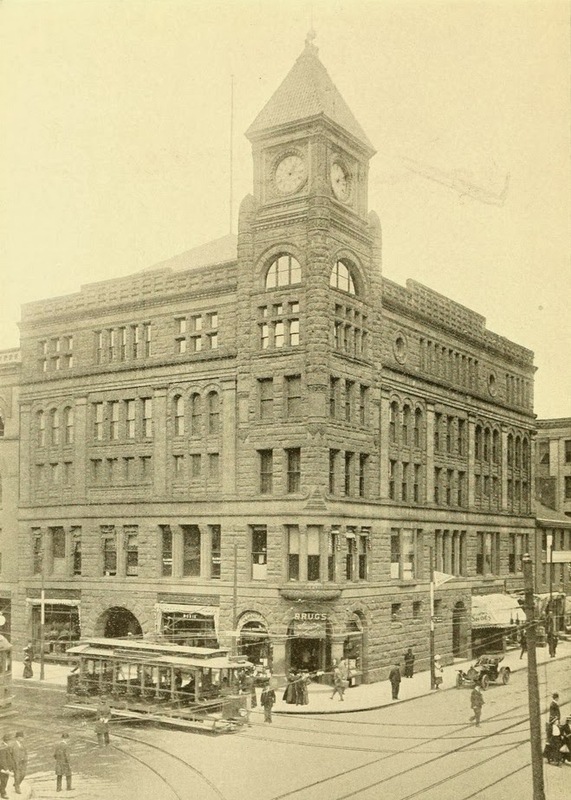 The building’s appearance hasn’t changed much over the past century, but its use has. It was built in 1907 as a residential building for the YWCA, after the organization moved from its old location a block away on Bliss Street. 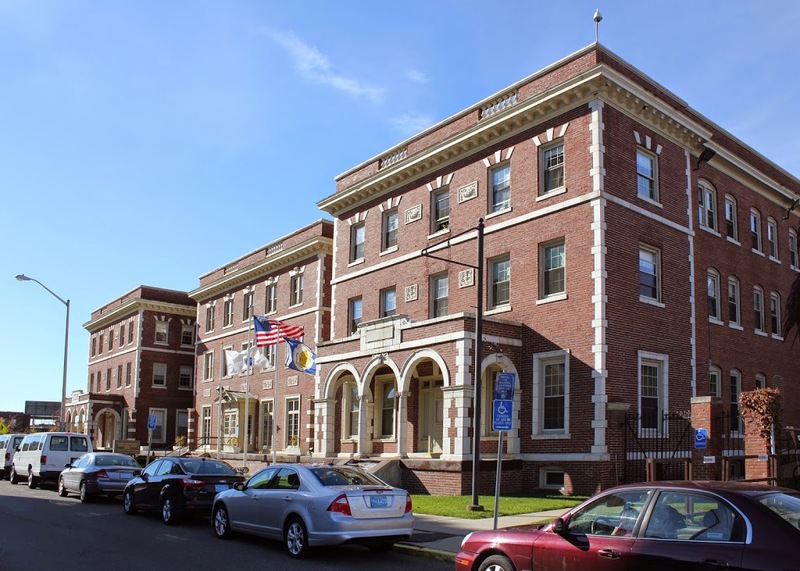 It continued to be used by the YWCA until at least the 1980s, but today it is the Western Massachusetts Correctional Alcohol Center, a minimum security facility for alcohol-related offenders. 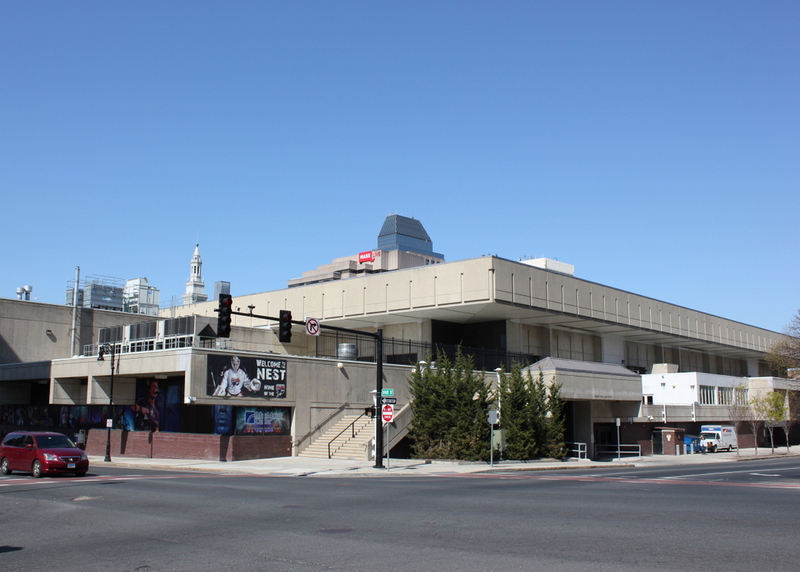 However, it probably won’t be for long – Howard Street is right in the middle of the planned casino development, so the days appear to be numbered for the historic building. 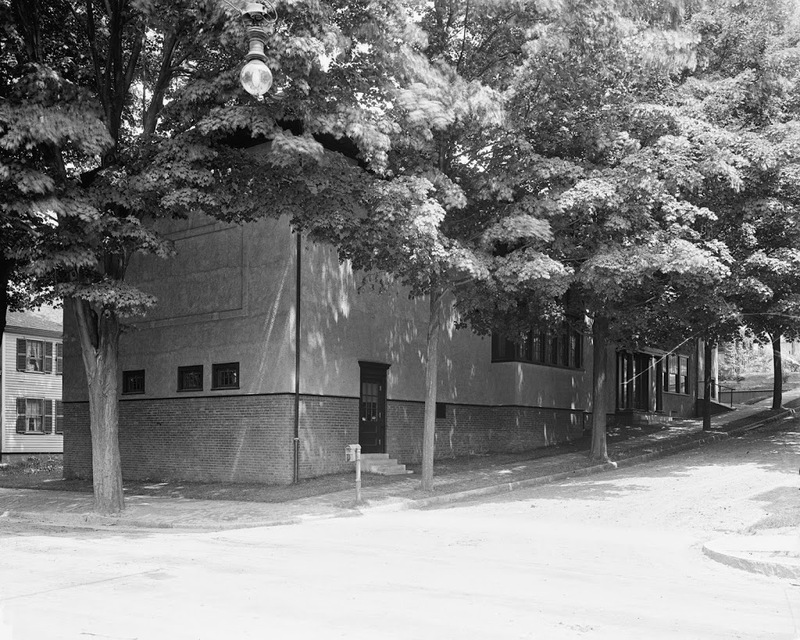 The Springfield Women’s Club building at the corner of Spring Street and Frost Street, around 1906-1910. Image courtesy of the Library of Congress, Detroit Publishing Company Collection. 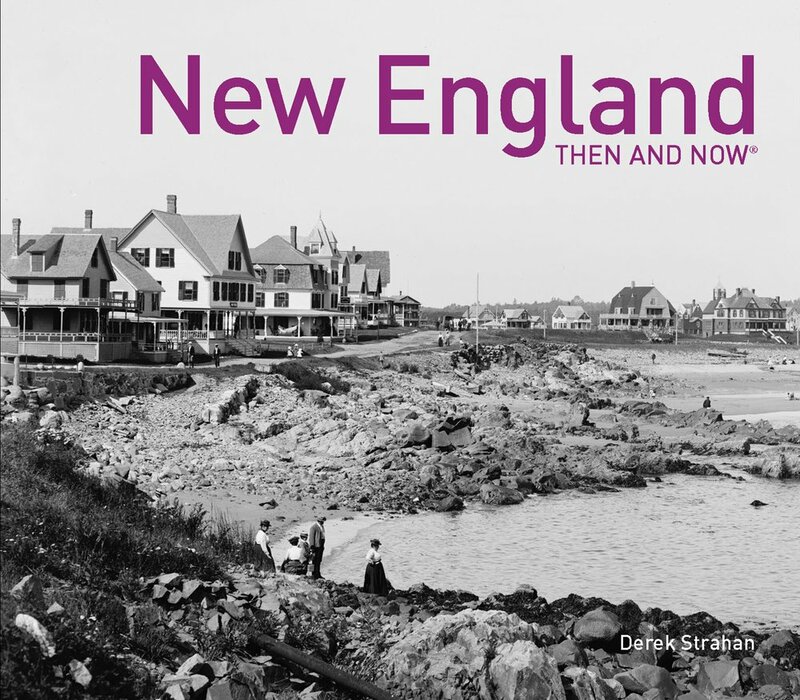 The first photo was taken around the time that the Springfield Women’s Club building opened on Frost Street. 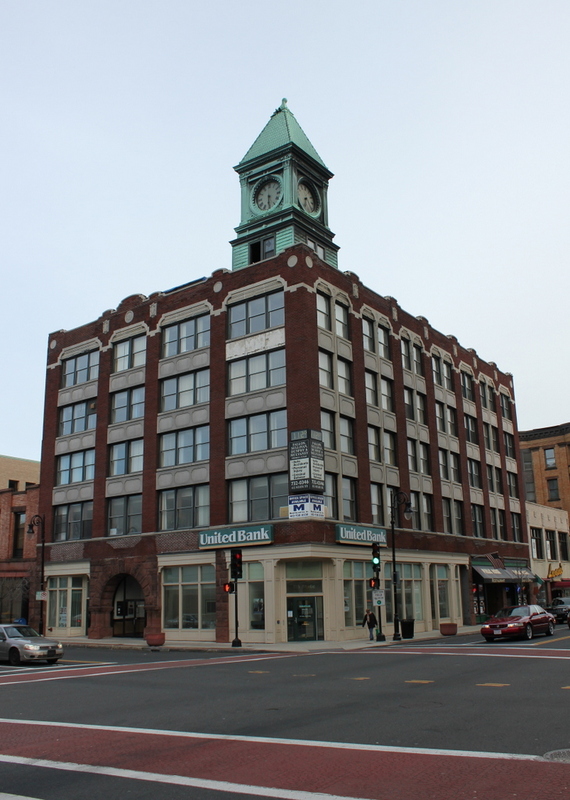 A few changes have been made to the building over the years, including the addition of five windows on the Spring Street side of the building and a set of double doors beneath them. Today, though, the overgrown weeds around the building contrast with the stately trees surrounding it in the first photo. Both the building and the neighborhood have obviously seen better days, although I don’t know the current status of the structure.